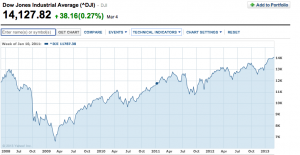 (Freakonomics) U.S. stock markets* are flirting with all-time highs (it may happen today) but I am hearing and reading very little about it. Why is that? I can think of a few possible reasons, and am eager to hear yours. 1. After the spectacular meltdown of 2007-2009, a lot of people are generally gun-shy and/or inattentive. 2. Since so many people sold into the teeth of the meltdown, and stayed on the sidelines since, a new high is to them relatively bad news. 3. Because the economy itself is not quite roaring, a roaring stock market doesn’t seem legit (unless, of course, you consider it a leading indicator, which it usually is). 4. Just “getting back” to an all-time high from more than five years ago is, at best, a muted victory. All that said, I remain surprised by the lack of chatter. 5. 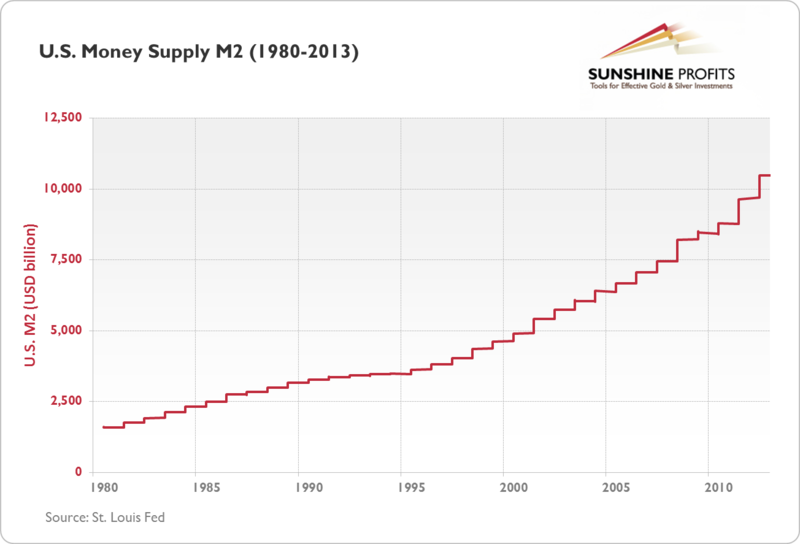 The money supply is beyond record levels with all the artificial liquidity that has been pumped into the economy over the last five years. To see the stock market at this level is not really that impressive considering. This entry was posted in 2007-08 Crisis, Austrian School, Budget Deficit, Bureaucracy, Capitalism, Competition, Complexity, Currency, Current Events, Economic Policy, Economic Theory, Free Market, Frontier Thesis, Game Theory, Inflation, Interdependency, Motivation, National Debt, Taxes, Wealth, Welfare Statism, Zero-sum. Bookmark the permalink.